Flip this book from day to night in the forest! Open the book one way and watch the animals of the forest by day, until the sun sets. Flip it over and open it again, and follow the animals of the forest by night, until the sun rises. 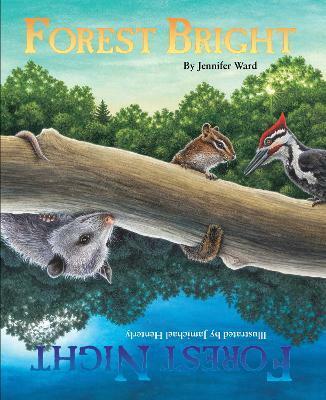 Be sure to count the forest animals you see and find the hidden numbers!.